Many people are clueless on what the link is between domain name and web hosting and the differences between the two. Therefore, to make it clear we have come up with points in this article. A domain name is the name in the text form to represent an IP address as the IP address many not be easy to remember. It’s the IP address that helps people access your website. To link up this domain name with IP address, you need to approach a web hosting company. Whereas a web hosting service provider is a space on the internet server which stores web pages, database, content and hosts them. The relation between the two is that when you have created your website to be visible to the people on the Web, you should have a domain name that is registered with the web hosting company so that people can identify your website in the search engines and can access it. To register your domain name, you have to approach your web hosting company so that they can link your domain name with the IP address. 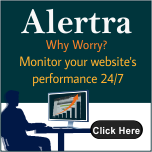 With this, your site will be visible on the Web. Even though there is a small link in between the two they are completely independent of each other. Every website should have a domain name and web hosting. If there is no domain name you can’t locate data in a website and without web hosting, you can’t register your domain name and get visible. The domain will have the hosted files with the registered domain name, which people can identify and remember easily. The webhost service and the domain name associated with a website are thus related. But the fact is they are independent of each other, but work together to bring the site live. domain name registered with your web hosting company and get benefited. But you need to be careful while choosing a host as they control and manage your site and issues related to your site. Getting a good hosting service is somewhat difficult, but with thorough research you can achieve it.